Dr. Robert M. Handley Hanshi 9th Dan President of the International Ryukyukai Karate Association a Kempo / Shotokan Instructor. this man has done a great deal in the Martial Arts in Willmington Del. a student under Prof. Larry S.L. Martin for 30 yrs. he has trained under Great Grandmaster William R. Gregory. 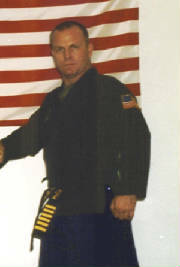 Dr. Handley is the Co. founder of Shojukempo, Vice President of Shojukempo International Martial Arts Association and Vice President of the World Black Belt Certification Licensing Commission. he is the Director of the International Ryukyukai & Shojukempo International Hall of Fame. he & Prof. Martin have come along way!! 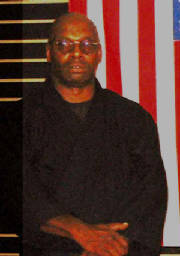 Sijo Samadd Haq Darden student of the late Grandmaster Charlie Babbbit founder of Cobra Kai Karate & Kung-fu and a student under Great Grandmaster William R. Gregory. Sijo Haq & Prof. Martin meet back in the late 70's at Master Babbit's Dojo and both became best of friends 1 year after they both met. Sijo Haq became a student of Prof. Martin. Sijo Haq is also the Co. founder of Shojukempo. Kyoshi Raheem Bay Haq Darden a student under the late Maestro Jock Taylor founder of Ni sei Goju. came to Rhode Island to live with his older brother Samadd in 1974. he to became a student of Prof. Martin and trained under Great Grandmaster William R. Gregory. Kyoshi Raheem is also the Co. founder of Shojukempo. " the Fab 4 " Prof. Larry S.L. Martin Hanshi, Dr. Robert M. Handley Hanshi, Sijo Samadd Haq Darden, Kyoshi Raheem Bay Haq Darden. these 4 Martial Artist make what Shojukempo is all about.! 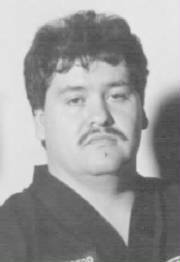 Christopher J. Dacey Shihan Technical Director for R.I.Shotokan Karate-do Hombu Dojo 19 yrs. of Martial Arts Knowledge. a great Shotokan Karate-ka. Sijo Art Lapham founder of Raven Kenpo / Kung-fu. Sijo Lapham is a student from Great Grandmaster George Pasere and the late Grandmaster William R. Gregory. Kyoshi Mike Trott founder of Go Shin ryu Ju-jitsu and a student under Prof. Larry S.L. Martin. this photo will be updated soon. Shihan Fernando Restrepo just resently reopened his Dojo in Central Falls, Rhode Island. he is the only Dojo in Central Falls Shihan Restrepo is a student of Hanshi Larry Sulliven Shihan has trained under Prof. Nick Cerio & Grandmaster William R. Gregory. he is curently training under Prof. Larry S.L. Martin Hanshi which he has been for the past 15 yrs. Shihan Restrepo teaches Kemshoju which is " Shojukempo "
Renshi Jeramy E. Devlin - Martin. this 19 year old is the younest high ranking Black Belt in the Country with a 5th Dan in Shojukempo plus he is a 3 time New England " gold medal " Kumite Champion in Traditional Karate-do. his other rank is 4th Dan Shotokan Karate-do. under the watchful eyes of his father & teacher Prof. Larry S.L. Martin Hanshi 10th Dan and founder of Shojukempo ryu. 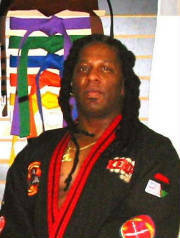 Sijo Stephen Keys as student under the late Great Grandmaster Dr. Daniel K. Pai founder of Pai Lum. Sijo Keys is the founder of Golden Claw fist style.